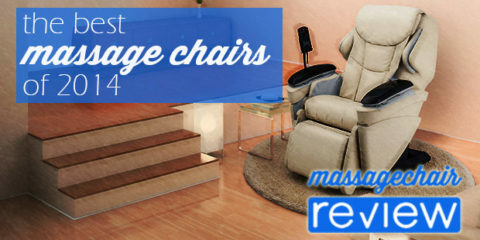 Are you interested in Kahuna Massage chair and want to find chairs around the same price? If the answer is yes then you’ve come to the right place! Below we explore some chairs that compare in price to the Kahuna chairs. We’ll explore the features, the quality of the brands, and what might be the best buy. 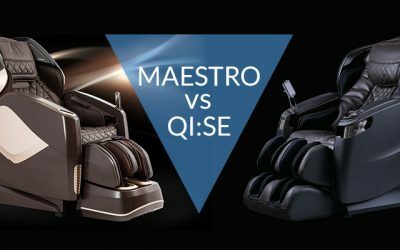 Its important to note that not all massage chairs are created equal. The Kahuna LM6-800 boasts a lot of features for the price so lets take a quick at what we can expect. 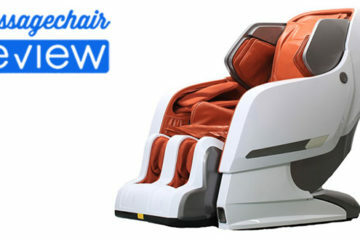 This chair has an L-track design, 5 automatic programs, Massage airbags, and foot rollers. This is a good feature set at the lower price. We do like the coverage an L-track provides and this was able to reach from my neck to my glutes. However, the quality of massage is rated at roughly a 2 or a 3. The assembly has received negative marks as well. One thing we noticed as well was the massage quality was not great, but hey the chair is only 1899.99 before taxes and shipping. One thing we also noticed with all Kahuna chairs is the quality of the fabric and construction – which are great indicators of the longevity of a chair. Overall this chair receives a 3.0. Next is the Ogawa Refresh Plus. This chair is a new release from 2017 and is an upgrade of the Ogawa Refresh massage chair. This chair has the same high quality design as the original with some noticeable upgrades. The smoothness of the roller receives the highest marks. Ogawa is know for having some of the best massage technology and the Refresh Plus definitely delivers. The upholstery has been updated and the softness and texture of this chair might be the best for a chair at this price. The foot rollers are very smooth and therapeutic, and the touch screen remote is beyond easy to use. This chair has The chair feels high quality in every aspect. We think the difference in price is totally worth it. Ogawa is known for running specials on this model and you can expect to get this chair in the $2000 range. Over all this chair would receive a 4.5. Now lets take a look at the Kahuna LM-7000. This is Kahuna’s next step up in price. This chair has three colors to choose from and is an upgrade from the lower priced chair. You get an extra program for a total of 6. The remote has a different design as well. It does have the 5 massage methods, space saving recline, zero gravity, and the L-track style roller. The massage quality on this chair is slightly better but still at a grade that is representative of the price. The design of this chair is nicer and it seems that learning how to use the chair is better then the LM6800 This chair does have a few positive reviews, but they do have a similar theme to the other chair. It seems as though customers had similar feelings about the price to the quality, not expecting too much, and they noticed there was much attention to detail. This was in regards to the instructions and the issues with Assembly. We would rate this massage chair overall at a 3. Next we have the Homedics HMC-500. This is a brand new chair release from Homedics. They have over 35 years of experience designing and developing massage products. We did a write up on their new releases, which you can check out here (link to the new article). The Homedics HMC-500 is a quad-style s-track massage chair. The quality in this chair is apparent from the texture of the upholstery, to the quality of the neck massage. The design is also very attractive and will fit into a wide range of décor. The airbags in this chair are multilayered as well. 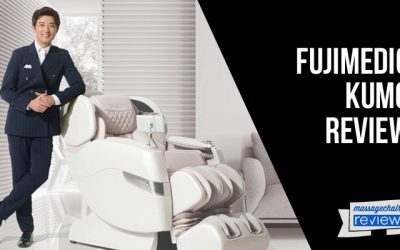 The chair has 7 automatic programs, space saving technology, foot rollers, chromotherapy, Bluetooth speakers, and 6 massage techniques. This is a new release for 2017 but the reviews have all been very positive. We would rate this massage chair overall at a 4. Next we check out the Infinity Evoke. This chair has the depth and strength of massage that Infinity is known for. This chair is an S-track style roller, 6 massage styles, with 9 automatic programs, foot rollers, a 38 airbag compression system, zero gravity, and space saving recline. This chair has a quality that is noticeable through the programming of the massage and the comfort of the chair. We’ve had a positive experience with this chair and Infinity is known for the quality of their support. We rate the overall experience of this chair compared to the price at a 4. Finally we have the Osaki OS-4000t. This is a legacy model by Osaki. The features of this chair are fairly standard for the price point. The chair does have a more snug fit and is ideal for people with a medium build around 6’1” and below. This chair has zero gravity, 5 automatic programs, 6 massage styles, heat, and foot rollers. This chair has continued to be very popular however there are newer models available that are worth considering. We rate the overall experience of this chair compared to the price at a 4. Next we take a look at the Kahuna SM-7300. This is a slight step above from the LM7000. They detail that this is a 49 inch L-track roller which is standard amongst L-track chairs. This chair does advertise an SL track but the only true SL track we’ve used is on the Ogawa Active Supertrac. You can read more about that chair here (ogawa active review). The massage programming on this chair is better than the SM-7300. 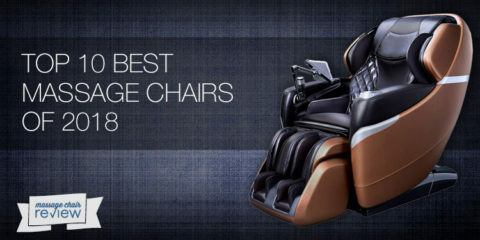 The chair has 9 automatic programs, zero gravity, 5 massage methods, space saving recline, and foot rollers. The chair is nice and we would rate this massage chair overall at a 3.5. Next we have the Osaki OS-Pro Maxim. This chair is an L-track style massage chair. 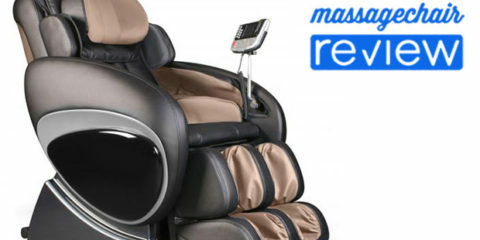 Osaki has a wide range of massage chairs and has a lot of experience with a multitude of massage technology. The quality of the massage on this chair is smooth and the chair has a simplistic style. 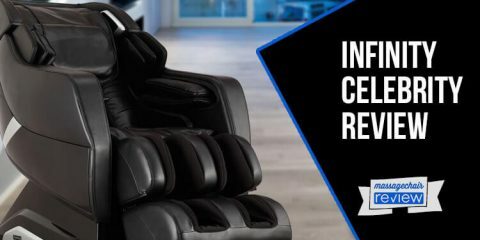 This chair also has a wide range of massage and relaxation features like the full body air compression system, zero gravity, 12 auto programs, and 6 massage methods. This chair has received high remarks for the quality of the upholstery, the comfort of the chair, and how easy it is to use with the touch screen remote. 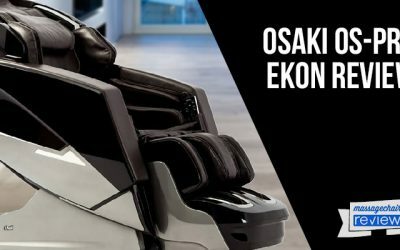 Some customers have mentioned issues with the quality and service from Osaki, but we still rate this massage chair overall at a 4. 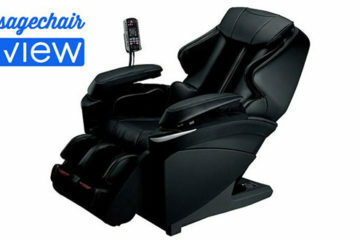 Lastly we have the Ogawa Active L massage chair. 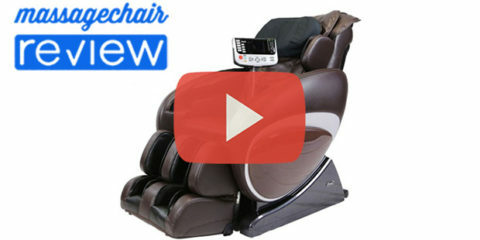 This is a brand new massage chair from Ogawa and is an upgraded version of their Active line of massage chairs. This chair comes with Ogawa’s patented roller technology, which is smooth yet firm. This is one of the only L-track style massage chairs that is able to target the neck very well. One thing you can always expect from the Ogawa chairs is a high quality design, and the best in massage technology for the price. One feature that is overlooked with many chairs is Vibration, this chair does not skimp out on the subtleties and has many other small details that make it one of the best chairs under $3000. 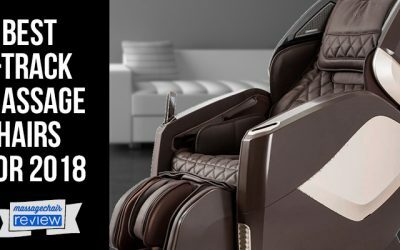 This chair includes the Patented silent design of the airbags, 7 massage modes with a dual action movement (moves both clockwise and counterclockwise), 9 automatic programs, shiatsu style foot massage, Advanced massage programming, Zero Gravity, and a touch screen remote. The Ogawa Active L is the newest L-track released, and Ogawa’s newest released chair. 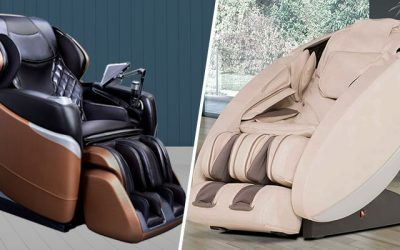 Ogawa with its 20 years in Health and Wellness product development, and its highly rated customer service, we rate this massage chair overall at a 5. 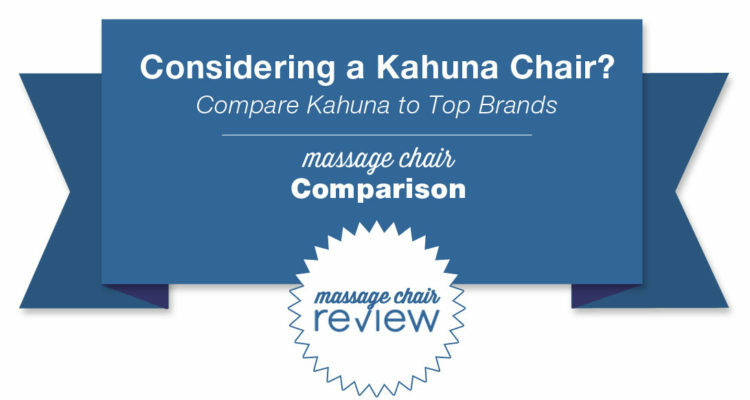 One of the biggest themes from consumers is that they are ok with the quality of the price of the kahuna. Based on the specs and the features and craftsmanship of the chair we find that a shopper can get a much higher quality massage chair within the exact price range or very similar and from top name brand companies. Kahuna is also a very young brand only being around for a few years, in comparison brands like Ogawa have been around for 20 years and design and manufacture their own products. 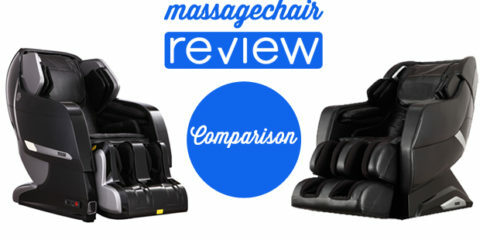 We have reviewed and compared a lot of massage chairs and are happy to share our insights. Feel free to leave a comment below about your experience or feel free to ask any questions.